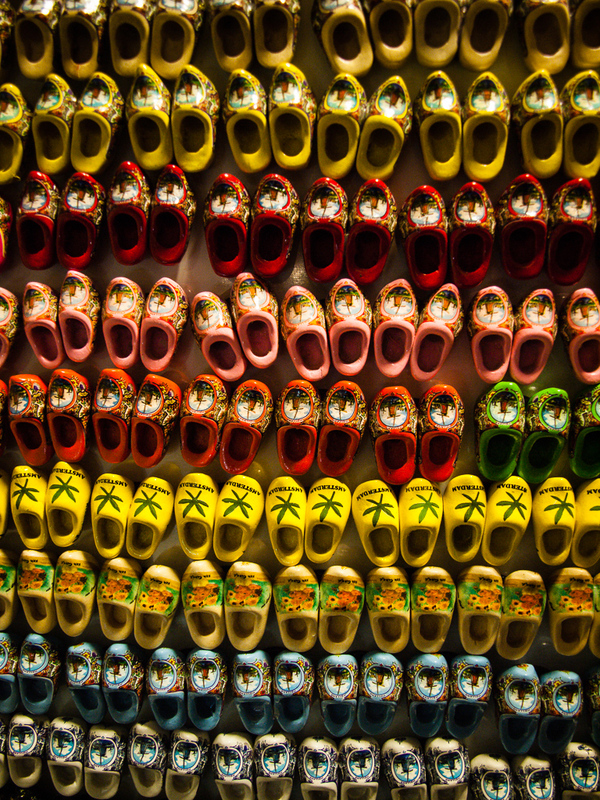 These are just miniature Dutch wooden clogs for tourists. I like the ones with the mind expanding herb. Not something you would wear though. 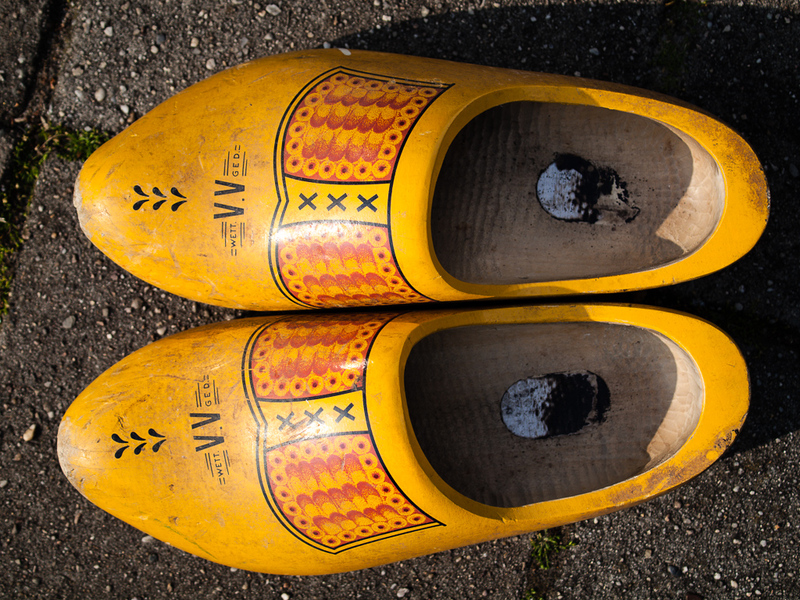 As proof that people still wear Dutch wooden clogs, here are my brother-in-law’s clogs. Much warmer in the winter than wellies. And they are recognised safety footware too.